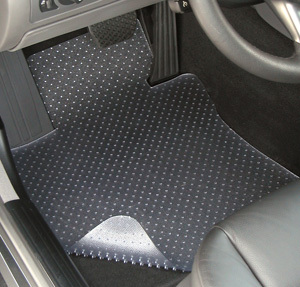 Heavy-duty, clear vinyl mats that offer protection for your car floor carpet. Allow the beauty of the original carpet to show through. Just shake off / hose off to clean. Protector Car Mats come with a 5 year warranty.